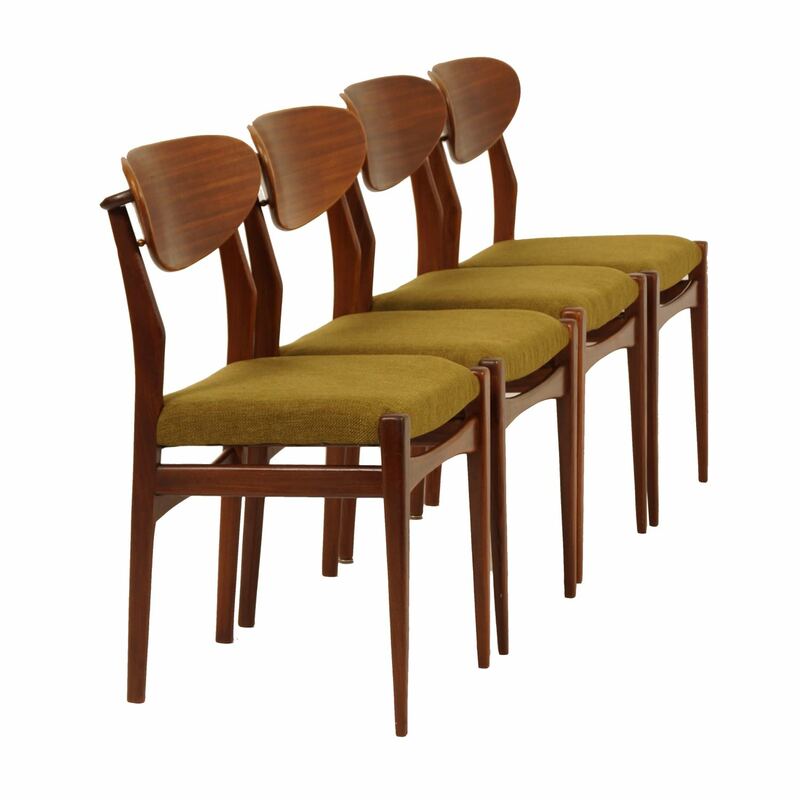 Set of four dining chairs designed by Louis van Teeffelen for Webe in the 1960s. The seats have been re-upholstered with new webbing and green fabric (see photos). They have a teak wooden base with a nice curved back. Considering the age and the new upholstery, these vintage chairs are still in very good condition, some normal traces of use.